Open your eyes to breathtaking levels of detail with the ASUS PB279Q 4K Ultra-high definition (4K UHD) monitor. 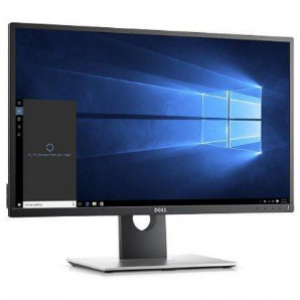 The PB279Q features a 16:9 aspect ratio WLED display that delivers next-generation 3840 x 2160 resolution 4K UHD visuals. With a pixel density of 163 pixels-per-inch (PPI), the PB279Q has over 8 million pixels, four times the pixel density of standard Full HD displays for astonishingly detailed visuals – allowing you to experience more onscreen real estate and stunning image clarity that have to be seen to be believed. The PB279Q features In-Plane Switching technology for 178-degree wide-viewing angles on both horizontal and vertical planes, as well as 100% sRGB wide color gamut for consistent color reproduction and true-to-life visuals. 4K UHD visuals means the ASUS PB279Q lets you enjoy 300% more desktop space than a similarly-sized Full HD screen on which to spread out your various windows. 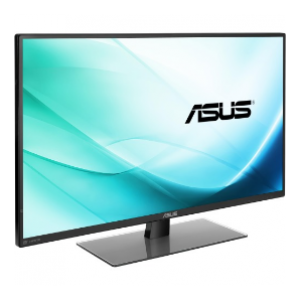 Capable of displaying 1.07 billion colors, the PB279Q delivers outstanding color reproduction and saturation; along with a brightness of 300cd/m² and a 100,000,000:1 ASUS Smart Contrast Ratio (ASCR). In-Plane Switching (IPS) technology enhances the performance of liquid crystal displays so color reproduction is improved. 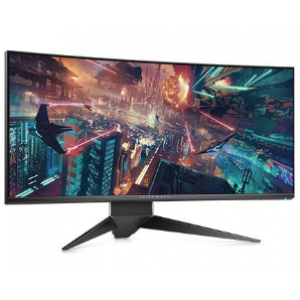 The ASUS PB279Q provides ultra-wide 178-degree viewing angles with no color shift at all, so users can now view the screen from virtually any angle. 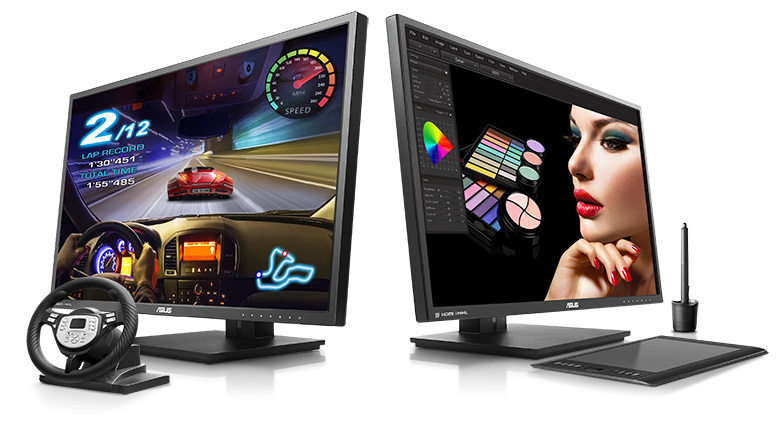 A 100% sRGB wide color gamut allows the ASUS PB279Q to consistently replicate colors in a way not seen on standard monitors; while 10-bit colors means the PB279Q provides smooth color gradations for a more natural-looking transition between hues. 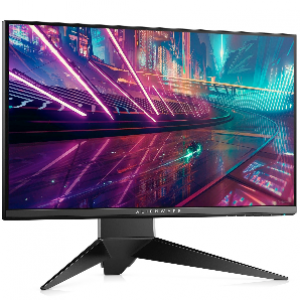 The PB279Q also delivers an impressive 5ms (gray-to-gray) fast response time and a 60Hz* refresh rate for the fluid and responsive visuals needed to experience today’s games at their fullest. 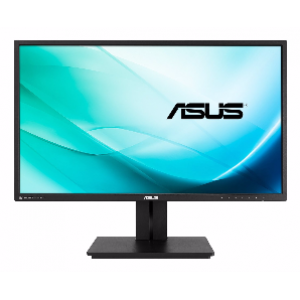 *ASUS PB279Q supports 4K UHD content at 60Hz refresh rate via DisplayPort 1.2 and Mini DisplayPort. The ASUS PB279Q features extensive connectivity options that include DisplayPort 1.2 and Mini DisplayPort for 4K UHD content support at refresh rates of up to 60Hz*. There’s also four HDMI 1.4 / MHL** ports which you can use to view content from your mobile device on the PB279Q while simultaneously charging the mobile device. *PB279Q can support 4K UHD content at 60Hz refresh rate via DisplayPort 1.2 and Mini DisplayPort. Built-in Picture-in-Picture (PiP) and Picture-by-Picture (PbP) functionality let you view content from up to four different 4K/UHD sources simultaneously, with the ability to switch between them, including audio, easily. PiP mode places the second input source window in one corner of the display, while PbP mode allows you to set up the input source windows in four different ways, and can support four 4K/UHD windows at the same time. Picture-in-Picture (PiP) mode places the second input source window in one corner of the display – either at the top left, top right, bottom left, or bottom right. We’ve raised the bar by incorporating some of our proprietary technologies into the ASUS PB279Q to give you a truly vivid visual experience. The PB279Q features the new SplendidPlus™ Video Intelligence Technology that optimizes videos and images by enhancing color brightness, contrast, and sharpness. SplendidPlus™ features two new modes – Reading and Darkroom – in addition to the Scenery, Standard, Theater, sRGB, and Night View modes. Low-blue Light and Flicker-free technologies also reduce the strain on your eyes after long periods of use. Video Intelligence Technology is built upon a color engine that provides 8 preset modes that allow you to adjust your display accordingly to ensure color accuracy and image fidelity to give you colors that best suit what’s showing on the screen. You can access different modes via a designated hotkey. The TÜV Rheinland-certified ASUS Blue Light Filter protects you from harmful blue light, and you can easily access its four different filter settings via a hotkey. PB279Q has undergone stringent performance tests and has been certified by TÜV Rheinland laboratories, a global provider of technical, safety, and certification services, to be flicker-free and to emit low blue light levels. It's time to say goodbye to those tired, strained eyes. PB279Q features TÜV Rheinland-certified ASUS Flicker-Free technology to reduce flicker for a comfortable viewing experience. 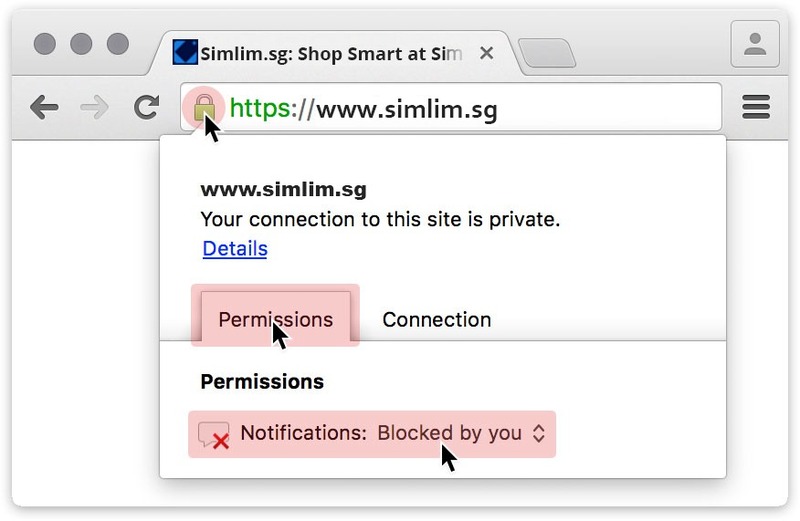 This technology helps minimize instances of eyestrain and other damaging ailments, especially when you spend long, countless hours in front of a display watching favorite videos. 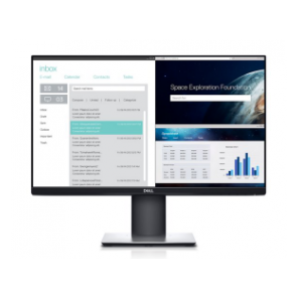 ASUS QuickFit Virtual Scale’s onscreen alignment grid overlay also helps you align and preview actual-size photos and documents on screen prior to printing, thereby adding to the overall flexibility and productivity aspects of the PB279Q display. The PB279Q features a slim profile and an ergonomically-designed stand with tilt, swivel, pivot, and height adjustments so you can always find that ideal viewing position. I'd like to enquire on PB279Q 27" 4k 5ms IPS Monitor w/ Speakers.